With lots and lots of snow in today’s forecast, it’s the perfect day to revisit Elyssa and Phillip’s Winter engagement session shot last year at Shaver Lake. 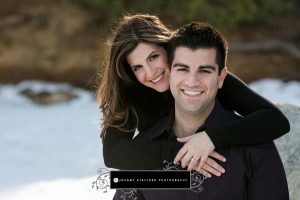 Right now is the perfect season for romantic engagement and proposal shoots! Photos will be posted soon from their beautiful wedding at The Grand 1401.